True and Dorin Medical Group is considered to be one of the world's most experienced hair restoration clinics with over 2 decades of expertise in the field of hair transplantation and hair loss treatment. 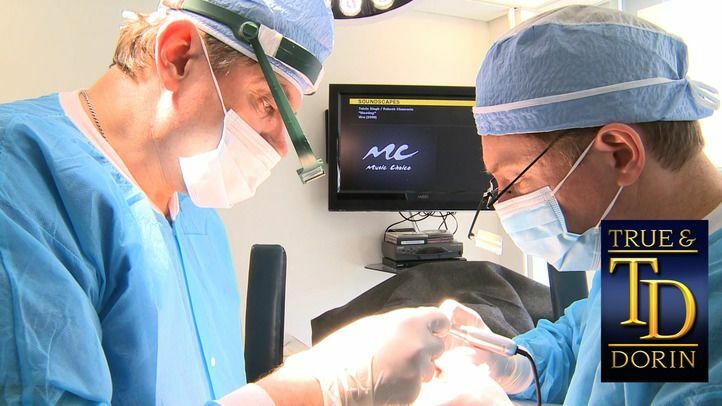 Our mission is to provide an in-depth understanding of the latest advances in hair transplant surgery and medical hair loss treatments so that our patients are making the most informed decision possible. Achieving lasting and natural hair transplant results is the end goal of what we do. Although hair transplantation has evolved into a sophisticated procedure, the technology alone does not guarantee a satisfactory result. The physician and staff performing the procedure are critical in determine the aesthetic outcome. For common questions about the hair restoration process click here for our FAQ section. Why Choose True & Dorin? Our practice is a full time practice devoted exclusively to medical and surgical hair restoration. We are not a large chain of clinics owned by a corporation. Only Dr. True and Dr. Dorin perform the surgery. Our physicians perform the donor harvesting and the artistic creation of the recipient sites. We do not utilize the “stick and place” method, where technicians make the recipient sites. An inquiry of this practice should be made of any clinic. Our nurses and technicians have years of experience and on an average have each placed a million or more grafts. Our group exclusively uses stereoscopic microscopes for follicular unit dissection. Our physicians employ single blade harvesting and a two layer closure method to insure high graft yield and a fine donor scar. We utilize the CompuMed Wand to administer local anesthesia. By utilizing this technology, patients can be reassured their procedure will be as comfortable as possible. Each hairline is 100 % transplanted with single hair follicular unit grafts, which are placed in high numbers into an artistic array of coronal and sagittal receptor sites. Drs. True and Dorin utilize the latest in follicular unit/extraction technology to produce excellent coverage and natural, cosmetically pleasing hairlines. Each hairline is 100 % transplanted with single hair follicular unit grafts, which are placed in high numbers into an artistic array of coronal and sagittal receptor sites. The combination of coronal, sagittal, and blended sagittal-coronal incisions creates the best possible combination of density and natural flow of hair direction. The attention to detail with regard to hairline shape and positioning is of the utmost importance and tantamount to an excellent result. For examples of these results please click here for hairline close-ups. Our straightforward approach during the consultation appointment. Patients will often tell us their consultation with us was the most informative and factual one they had. No high pressure sales tactics are ever employed and every prospective patient will see either Dr. True or Dr. Dorin. Prospective patients are encouraged to utilize our open door policy to meet actual patients and see our results for themselves. We conform to the highest standards of informed consent and consultation. For more information about what you should expect from any practice you consult with please click here for more information. We routinely satisfy and fully endorse these criteria. We invite you to schedule a in depth consultation with Drs. True and Dorin or call 1-866-HAIR-MDS. 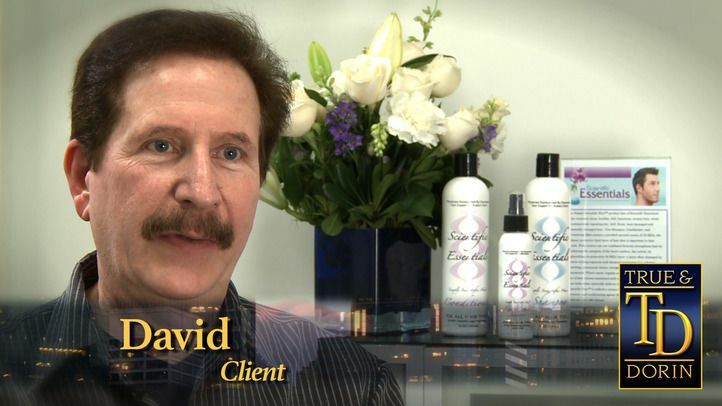 In this hair transplant patient testimonial, David talks about the reasons he chose True & Dorin: their advanced process, friendly staff, and the natural-looking results they can deliver. He had 2100 grafts performed in one day, without pain.